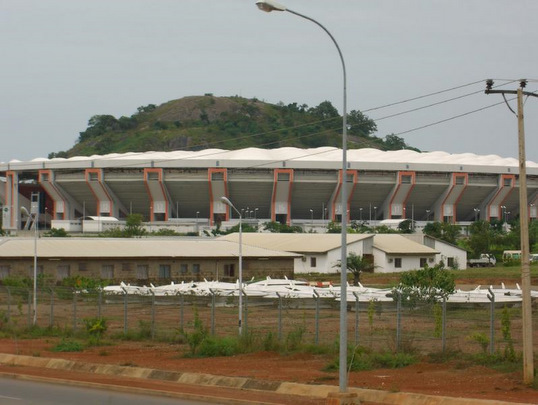 The Federal Ministry of Youth and Sports will close down the Abuja National Stadium as from next week to ensure its proper cleaning and rehabilitation, an official said on Tuesday. The ministryâ€™s Permanent Secretary, Olusade Adesola, told newsmen in Abuja that the closure would help them put the stadium in a proper shape for the 2018 National Sports Festival (NSF). The News Agency of Nigeria (NAN) reports that the 2018 NSF, which is the 19th edition and was earlier scheduled for 2014, is slated for Dec. 6 to Dec. 16.
â€œBy the second week of November, we will close down the National Stadium and stop the usage of its facilities by the public to prepare the stadium for the festival. â€œEven though we have already commenced its restructuring and cleaning, but we need to shut down the place to ensure proper work,â€™â€™ the Permanent Secretary said. Speaking on the NSF, Adesola said 17,623 athletes and officials from 36 states and the FCT had so far registered for the 2018 edition. He said the figure was made up of 11,673 athletes, 2,801 coaches, 2,166 team officials and 983 state delegates. â€œWe are on course and all necessary arrangements have been put in place ahead of the festival. â€œWe are constantly in talks with the Minister of the host FCT, Muhammed Bello, and he has assured us that all necessary arrangements are on course,â€™â€™ the Permanent Secretary said. Adesola said the National Youth Service Corps (NYSC) camp in Kubwa would be one of the hostels for the athletes. NAN reports that the festivalâ€™s 2018 edition will feature 37 sports, as against 25 in the last edition held at Lagos in 2012. The ministry had in July signed a partnership agreement with Greenfield Assets Limited to rebrand, market and re-package the next five editions of the festival.